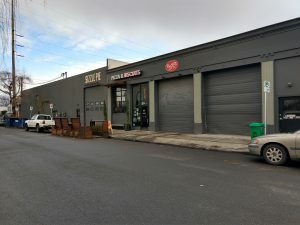 Food and Drink Archives - Portland! Just south of NE Multnomah on NE 21st, we have a lovely new coffeeshop with pizza(!). Hours have been slowly added (as far as I can tell), but they were open and serving pizza on Friday, April 19. Let’s support them! Mussels and french fries and cocktails and wine and a burger and salads and a pasta dish and pure bliss. La Moule is one of my favorite restaurants in Portland. I learned to love mussels here — and try to restrain myself at other restaurants from ordering mussels because they rarely are as good. The menu is relatively small, but I’ve never had a bad dish. The pasta changes with what’s available, and is a great option for folks who don’t care for seafood or meat. Even for those of us who do eat seafood, it’s sometimes hard to resist. The wine and cocktails have always been a delight. If ordering a bottle of wine, I usually ask for a suggestion since they carry inexpensive wine that I’ve never heard of. That being said, I have a hard time resisting their cocktail menu. They can also make delightful low- to zero-proof drinks. If I lived around the corner, I’d be eating at their back bar for happy hour meals far too often. When you first enter at the corner, you enter into one of two main dining areas and can see into the bustling kitchen. To your left, there is another room with more seating and a delightful bar that takes drop-ins. As La Moule gets going for the evening, the noise levels escalate. Plan accordingly. What I eat: green salad and split the classic Marinière mussels with a dining partner. Fries and all the sauces. Something tasty to drink. Update: We have BBQ! I haven’t been yet, but while staring at the menu, a woman walking interjected that Miss Delta’s BBQ is delicious! Need to make a visit. 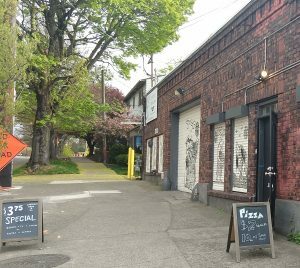 The Iconic Lounge on NE Broadway between NE 22 and 24th has closed. Signs are up promising BBQ from MD PDX and the mdpdx.com web address. No much info there yet, but curious what’s on the way. Iconic never seemed to thrive (and had enough fails that some members of my family refused to go there). I always enjoyed the happy hours and projected movies, but I never went all that often. Rose and Thistle always won out. Brunch is back at Verdigris! Verdigris at NE Fremont and 13th is serving brunch again! These are decadent plates that look small but always fill me up. They open at 9am and take reservations. Go enjoy! Portland is a city with wonderful tea. While our beloved Steve Smith has died and moved onto the great tea tasting room in the sky, there continue to be many wonderful options for tea in Portland. Having grown up in Portland, I have a soft spot in my heart for Stash Tea. They have been around since 1972 (older than me!) and now have their headquarters south of Portland in Tigard. Their company story is really fun to visit — and most grocery stores in Portland carry their teas. Their bagged teas are always solid and dependable, and their loose-leaf is delicious. You can also purchase their teas on Amazon! I’m particularly partial to their lemon ginger for a non-caffeinated tea option. Pine State Biscuits. Sometimes you just need to drop in mid-morning after a doctor’s appointment and get a biscuit. And all is well. I feel a little wild, saying that I have a favorite restaurant. There are so many wonderful ones in Portland and I love so many of them. But I’m going to go out on a limb (for me) and state my favorite. I love Grain & Gristle the most. The space is small and cozy. The staff is friendly without being smarmy or condescending. There are no televisions. The drinks are great: house wine never disappoints, cocktails are scrumptious, and they serve my favorite local brewery (Upright Brewing — deserving of their own post). The food is delicious. The burger is fabulous. The mussels slay me. The “two-fer” is a great and amazing deal. I love pickles. I believe dessert is also great, but I’m usually too full to order any. They are on my bus line: #8. Grain & Gristle is in NE Portland at 15th & NE Prescott. You can make reservations on Open Table. The chocolate manufactory I just discovered I needed. 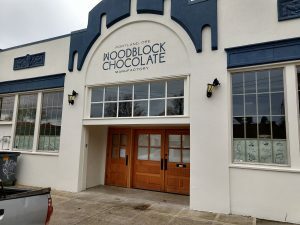 Updated: Woodblock Chocolate is open and is delicious! Look what I just discovered in my neighborhood: our very own chocolate manufactory (best word ever): Woodblock Chocolate. Now, admittedly, there are other chocolate shops very, very close by (Creo Chocolate, Alma Chocolate, Missionary Chocolates), so it is not that I am deprived of chocolate (and we shall not speak of 180 Xurros — the most dangerous siren call of all). But I stumbled across this beauty all on my own, without any warning. I cannot wait for them to open… But when will they open?!? Well, 2015 received NO love from me on this website. Portland has been so over-hyped recently, I didn’t really have much motivation to fan the flames. But now we’re into 2016, when I guess we can have a clean start? I dunno. In any case, 2016 shall receive at least as many posts as 2015. I’m more than a third of the way through my Hale Pele rum tasting, so hopefully by next year, I’ll be down to the last third. I’m going to stop eating dessert when I go out to dinner unless I didn’t actually eat much dinner. I’ve been getting uncomfortably full. If I want dessert, I will go out specifically to have dessert. Update: still working on it in 2018. But surely I’ll get there by 2020?!? To join the Loyal Order of Fire Drinkers at Hale Pele by the end of the year. This involves tasting 50 pre-selected rums by the end of the year. I’m very excited! Why, you might ask? Well, I know very little about rum and have had a tendency to dismiss it as a sweet, cloying drink best served with coke in the backyard. But as I have discovered more about bourbon, rye, aquavit, and others, I’ve grown curious about rum. Hale Pele seems like the perfect place to learn more, and is conveniently located (for me). Lessons from New Year’s Eve: when tasting the rums, consider trying only one or maybe two. After two drinks, everything tastes great (and oddly similar).